It’s not always easy leaving your home country for a new life somewhere else. Karin Rosenquist-Schager, the designer, illustrator, calligrapher and entrepreneur behind the brand Love, STHLM left half her heart in her home country Sweden while pursuing a degree, career and family life in the United States. Thanks to Love, STHLM, she gets to combine her passion for design with her love for Sweden. 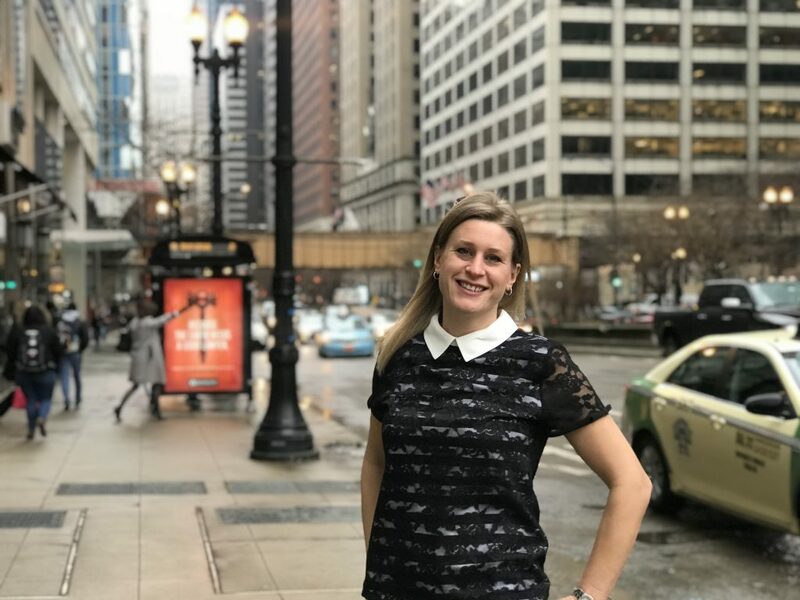 We sat down with Karin, who had recently just moved to Chicago from California, to hear more about the brand that strikes a cord in so many Swedish-American hearts. 1. Where in Sweden are you from originally and why did you decide to move to the U.S.? I grew up on Ekerö, outside Stockholm and moved to Los Angeles in the year of 2000 to pursue an art degree, first at Santa Monica College and then at Cal State Long Beach. 2. 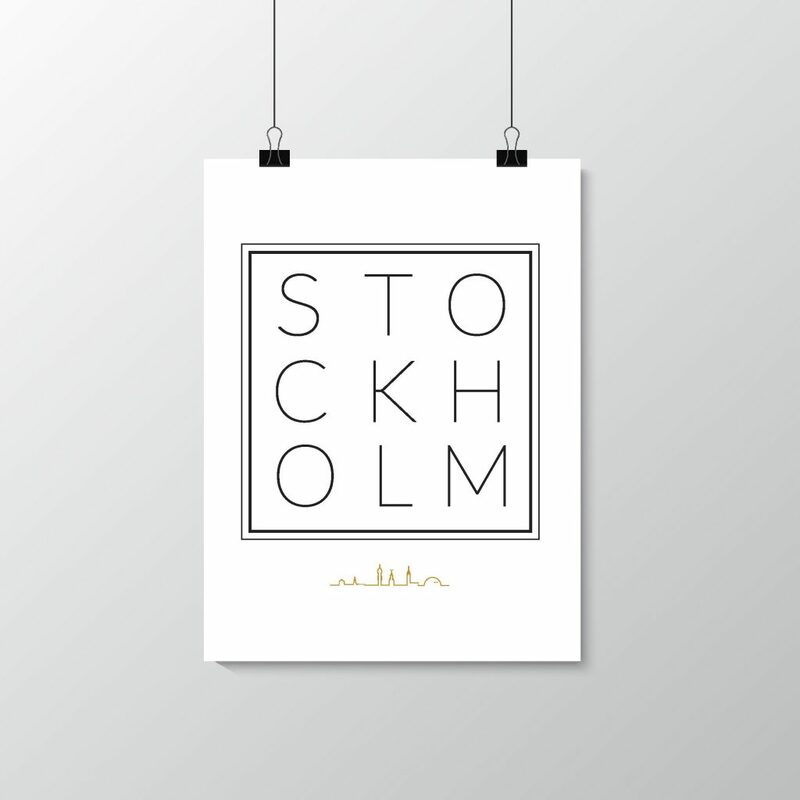 Your company Love, Sthlm pays tribute to your hometown and Sweden. 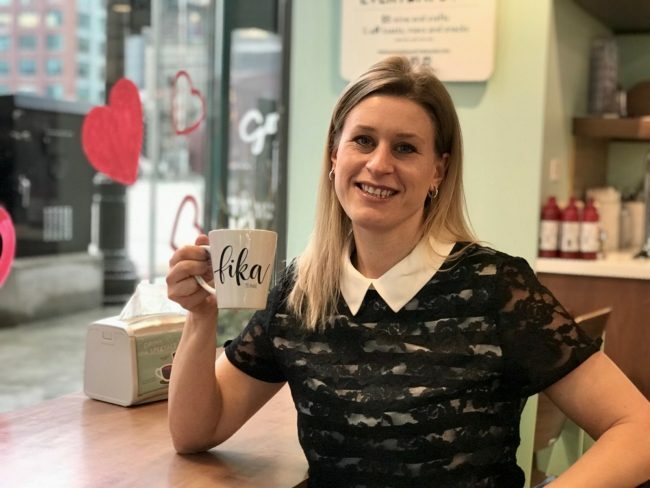 Why did you decide to start the company? Although I have been in the United States for almost twenty years, I have always had one foot back home, and I have really struggled with living in one place and having my heart in another. Now that I am married with kids, the thought of moving home seems even more overwhelming. I have worked as a designer since I graduated from college, running my own business for a few years. Combining my two passions; design and Sweden, my home country, felt natural. Living, working and raising a family away from home has had its challenges, and Love, STHLM has become a creative outlet for me. Creating and designing items with a Scandinavian look and feel helps ease the longing a little bit and it has also brought me much closer to the Swedish community here in the U.S.
My goal is to offer prints and home goods to other fellow Swedes in the world, who perhaps have the same longing for their home country, and passion for modern Scandinavian design as I do, and so far the response has been very positive. 3. What type of products can we find at Love, Sthlm and which items are the most popular? 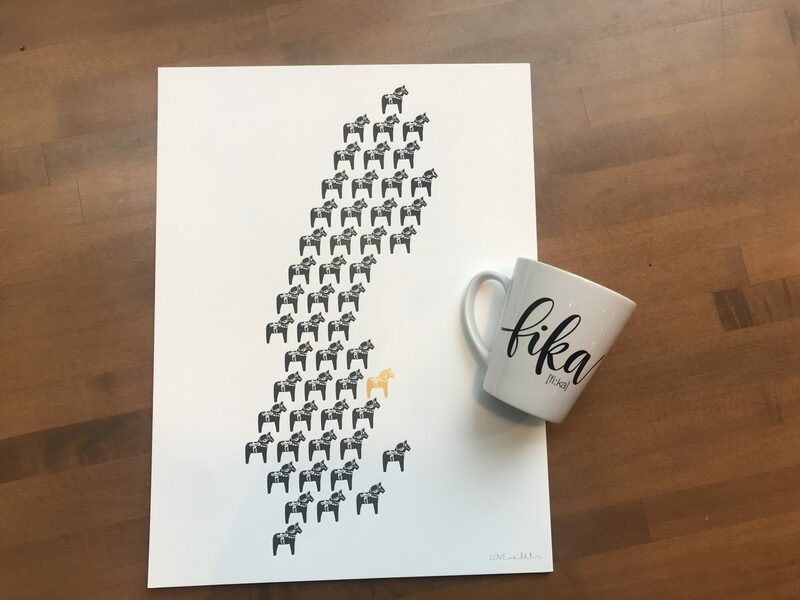 I design prints, greeting cards, and home goods, most of them with some sort of connection to Sweden. What makes my products a bit unique, is that many of the prints and cards are printed on a letterpress; the old school way of printing. It’s a time consuming and intricate way to print but one that brings luxury and high quality to my products. I also hand-letter, illustrate and design everything myself. 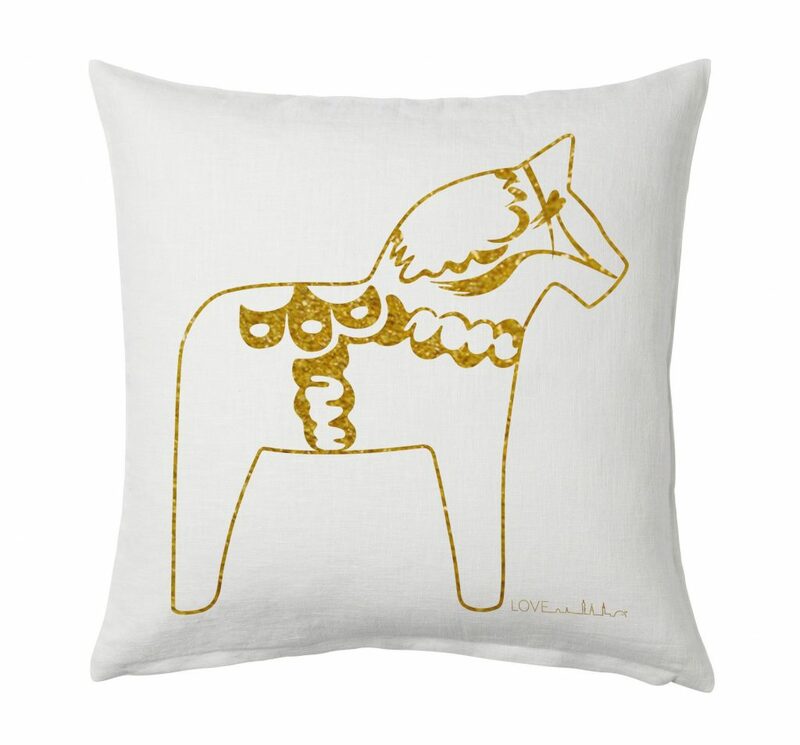 The most popular products are by far my fika mugs, the Dala Horse Sweden map as well as the Dala Horse pillowcase. Many customers also appreciate my greeting cards, as they come with an English translation. 4. Are your customers mostly Scandinavians or do you see an interest in your products among the Americans as well? Most of my customers are Swedes living in the U.S., or Americans with Swedish ancestors, but I also have many Swedes living in Sweden visiting my online store. When it comes to design and calligraphy, I am inspired by other artists, most of whom I follow on social media. I am also inspired by my childhood, my memories and experiences in Sweden, old and recent, as well as the endless opportunities that I have with this business. The positive encouragement from customers is of course also a huge source of inspiration. 6. What are your plans, hopes, and dreams for the future? For my business, my immediate plan is to launch a new collection for the spring. I am also working on launching my products in Sweden, along with a new website. A dream would be to expand my product lines and to exist in Scandinavian stores all over the world, and maybe even have my own storefront! Dream big, right?! For my personal life, I still hope to one day bring my family back home to Stockholm, where I can continue to work as a designer and calligrapher with my own line and have my friends and family close to me.